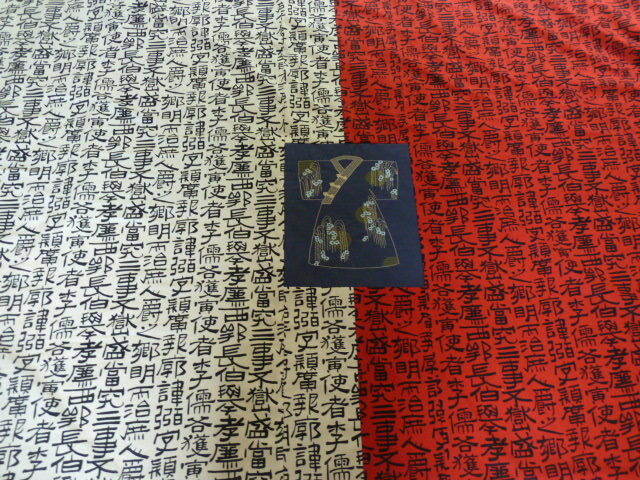 Yesterday I finished sewing the backing for the Kimono Quilt. Here is a photo of the completed top and back. That purple border really makes it. I know you are pleased. Thanks for sharing with us! And I am like Linda – do you ever sleep? very nice. You seem to get a lot finished in a short time. Good for you. I wish I had more time to sew, but with job and other duties, it just gets put to the back burner. I enjoy watching your progress. thanks for sharing with us along the way. the purple border really sets the quilt off. 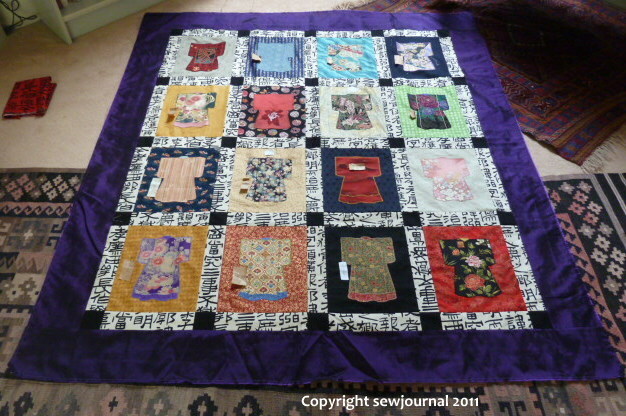 It is lovely and you sit and sew friends are good firends to do this for you. Love everything about it. The purple border. That pieced back. Everything is so fantastic! Now go sleep 🙂 Fantastic. You are so talented! What a beautiful gift from likemined friends, very lucky lady. Happy Birthday. You lucky thing! Cute yet sophisticated with all those beautiful fabrics. It’s extraordinary how such different fabrics work together to create even something even more gorgeous. If your group would ever like to make me blocks, I would readily accept them! LOL!